Far too often in our working lives we believe that we do not have the power to choose, we let our circumstances control our outcomes. We therefore narrow the possibilities in our home life by the circumstances we work in. Do you ever find yourself saying, ‘I have to work late’ or ‘I’d love to spend more time with the family, but my job is so demanding’ or ‘Sorry to let you down, but something has come up at work’. Until we believe we can choose differently, this pattern will not change. How about challenging those beliefs of saying no and looking at them more objectively? Remove the fear of such a tiny word! 1. The key thing is in creating your boundaries, between your work and home life. This will help you decide when you are truly committed to saying no and allow you to say it with confidence. For example decide what your latest time for working is on certain days, decide your email and phone cut off time. 2. Boundaries are about limiting others from stepping on your values. Let those around you know what is acceptable and what you will not tolerate. For example if people are constantly making demands of you which are draining your time and energy, it may be time to set a boundary and let them know you will say no. 3. Decide what your no’s and yeses are. Draw a table with two columns first column headed yes, and the second no. The yes is driven by what you truly want in life say yes to family time, no to working late, yes to more exercise, no to working after 6pm twice a week. This will help clarify to you that when you say no there is accompanying yes to something else. 4. Practice saying no in all areas of your life ten times in the coming week and see what yeses it gives you. 1. First buy some time, by saying I’ll have to check my diary. This will give you space to see if there are any personal sacrifices by saying yes, just check against your boundaries. 4. Be honest about why you are saying no. 5. Also if you want to say no, check whether there is a middle ground. If the request is not strictly time bound then say I can do it next week or some time in the future, so you can plan it in on your own terms. The more you say no reasonably, the more work will understand your boundaries and you will only be asked when appropriate…This absolutely works by the way….when I was a Project Manager, I began to learn the personal schedule of the team I managed. When football was, when someone had to pick up the kids, when someone had a non working day, when someone will absolutely not work late. I began to make my requests around these boundaries. 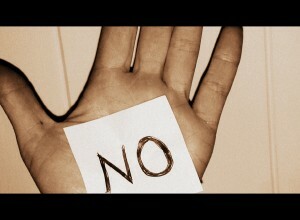 Saying no is not just about being assertive, it’s about knowing what you truly want and making a polite stand for that. The key question to ask yourself, if you are tempted to say yes is..’What is the cost if I say ‘Yes’? It’s about creating a new habit and sticking to it. I am a fully accredited Career Coach with the Coaches Training Institute, a credentialed member of the International Coaching Federation and I follow the code of ethics defined by the International Coaching Federation.